14ct White Gold Plain Fitted Wedding Ring — Form Bespoke Jewellers Ltd.
A plain fitted wedding ring in 14ct white gold. 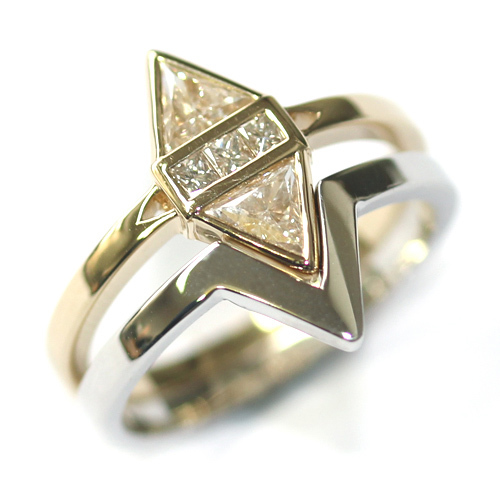 The customer returned to us for a bespoke fitted wedding ring to sit alongside their Yellow Gold Trillion and Princess Cut Diamond Engagement Ring. 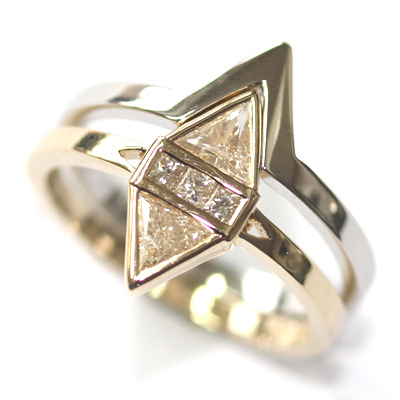 Using CAD, our expert jeweller created a bespoke wedding ring that followed the unusual profile of their beautiful bohemian-style engagement ring. The two rings sit with a graduating space between them so that fit together at the bottom and then are slightly apart at the top. 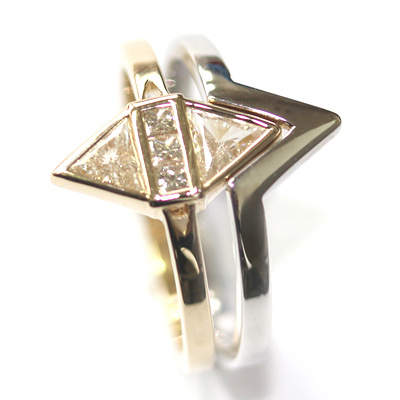 The ring was cast in 14ct white gold creating a trendy contrast to the engagement ring. A stunning combination.